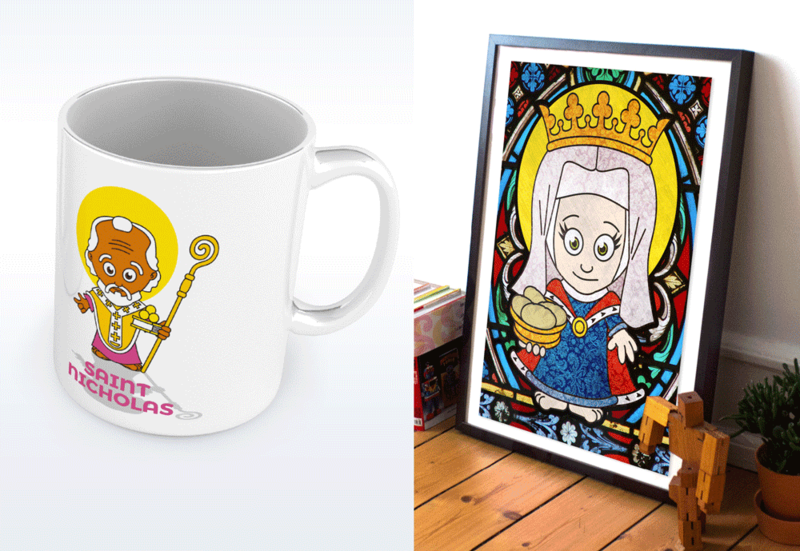 This series of characters started as a self-initiated idea which followed into several projects. 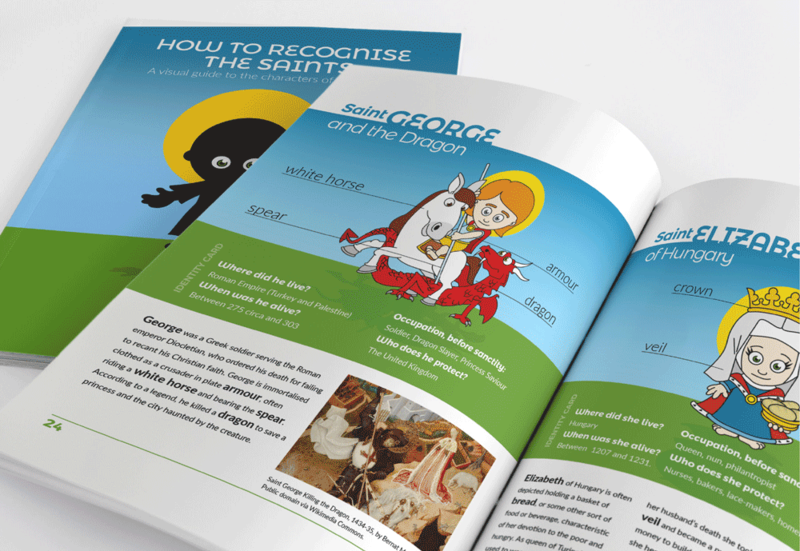 While working on the layout of a book about religious art, I started noting the different elements which characterise each Christian Saint and sketched my own version of them. At the International Bologna Book Fair, I pitched the idea for a book on How to Recognise the Saints. Einaudi Scuola, a renowned publisher of school books, reworked my idea and offered the opportunity to realise a set of playing cards, with pictures on one side and a short biography on the other. 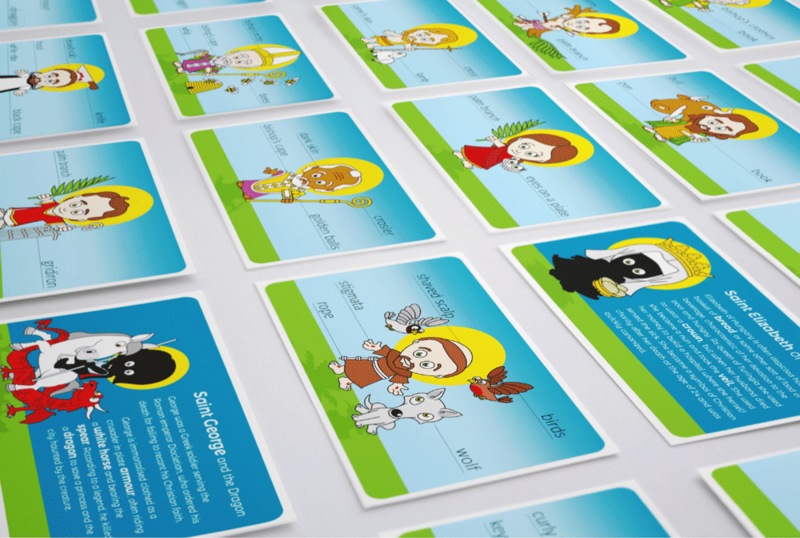 The deck of cards to be sold with a book about religions used in primary schools. As the publisher uniquely bought copyrights to produce the deck of cards, I was able to use these characters for an exhibition, merchandise material and the book I originally had in mind.